The Kindle changed my life—being able to carry around my books on a small, lightweight device that looks close-enough to paper, is readable in sunlight and in the dark, lets me change the font and font size depending on my needs, and has fantastic battery life is so future. Going on a trip? Load up more books than you think you need on the device. Find out while on the trip there’s a new book you want? Buy it right there. But of course, being a tech douchebag, I have problems with it. 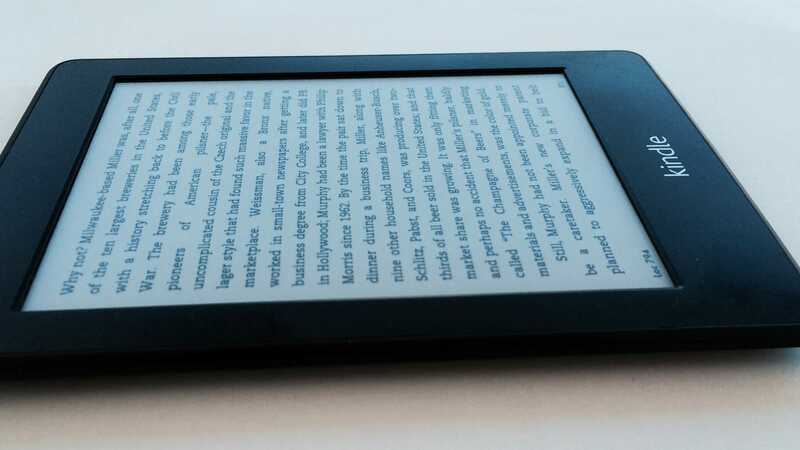 First off, the Kindle is made by Amazon to be as cheap as possible. This makes sense based on Amazon’s business model and is a decision I understand, but it means it turns pages slowly, sometimes stutters, occasionally crashes, sometimes the backlight doesn’t turn off when you put the device to sleep so you have to reboot it, and the software is … usable, not lovable. So there’s this company called Apple that makes beautiful devices with great software. Apple also runs an ebook bookstore. But Apple seems to have zero interest in making a reading device. Which also makes sense, given that their business model is to make a small matrix of great devices focused on the higher end where the profit margins live. I get that one of the secrets to Apple’s success is focus, but if you’ve already taken the rap for price fixing and you have any kind of serious interest in selling ebooks, why wouldn’t you make a reader? But if you’re a serious reader, no, you don’t want to read on an LCD instead of an e-ink display. Nope. It’s a completely different experience, and for the pure task of just reading words, an LCD is inferior in every way. And serious readers spend real money on their ebooks. You’d think that would a nice niche for Apple to take over. Plus, think how great a $200 Apple e-ink tablet could be, with none of the “ugh” moments of the Kindle. It sure would be nice. Oh, well.